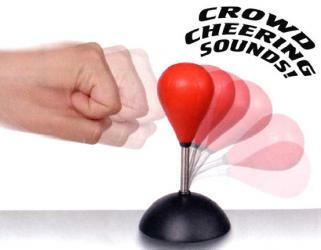 Mini Punch bag with impact-operated crowd cheering. Base has three suction cups so the punch bag can be affixed to a smooth surface. 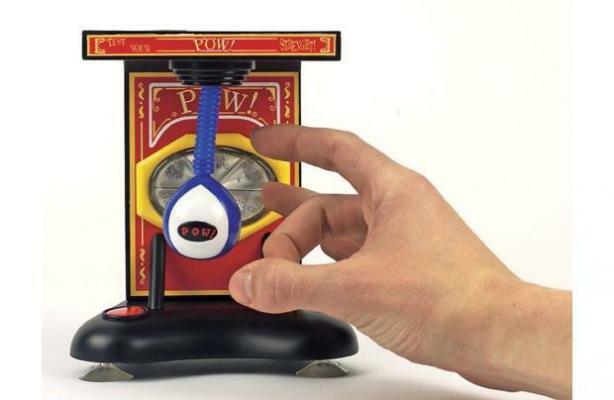 Test your finger strength with a desktop Finger-Hand Punch Bag. Requires 2 “AAA” batteries (not included).